The BSS Audio FDS-336T Minidrive Loudspeaker Management System 2x6 covers all four core functions of the Omnidrive range: crossovers (Linkwitz-Riley, Bessel or Butterworth), mid-band limiters, equalisation freely assignable to inputs and outputs, and both input and output delay. The AVT150 combo boasts more channels and features than any other Valvestate amplifier before. 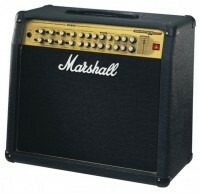 Its 4 channels are: Acoustic Simulator, Clean, Overdrive 1, and Overdrive 2. As you may expect, the Clean, Overdrive 1, and Overdrive 2 channels are identical in terms of voicing and features to those found on the AVT100. 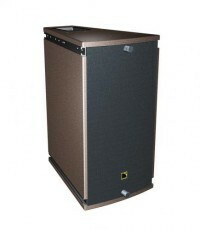 When the bass simply has to be heard and felt, the BA115HP is the high-powered combo solution. 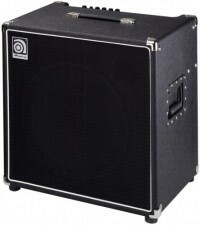 Featuring a 220-Watt power section and a custom 15” Ampeg speaker, the BA115HP can fill a medium-sized venue with headroom to spare. Systems of series BR are developed to satisfy requirements of users, giving the chance both time, and stationary installation when optimum quality of a sound and its optimum level is required. TRS a series – the fine decision for tour rounds, it is to the same extent popular both among rolling the companies, and among the instal companies. Well-known thanks to the high quality of production got for many years of work in sphere of acoustic systems and the attentive approach to details (both internal, and external) firm Ohm with the approach peculiar to it has approached to series manufacture динамиков TRS. The XT coaxial range delivers a complete sound reinforcement solution to fulfill the highest demands of audio professionals for both the fixed installation and rental production markets. 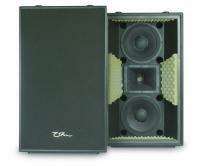 The XT series delivers the ultimate sonic performance in a compact and multi-purpose package. The ARCS® features a bi-amplified design, an advanced enclosure tuning with a custom DOSC® waveguide for a remarkable clarity and coherence. When arrayed, ARCS® radiates a constant curvature wavefront of 22.5° x the number of enclosures. Vertically, the enclosure provides an asymmetrical coverage of 60° (- 20° by + 40° of site angle). KUDO® offers far more flexibility than any other arena or theatre system, featuring a dual DOSC® HF waveguide and K-LOUVER Modular Directivity Technology. This combination of technologies generates eight directivity modes in both the horizontal and vertical planes and allows KUDO® to fit many applications in terms of audience, geometry and content. 450 presets provide sounds for real-world applications— and a unique KeyWord search and sort function allows you to find the preset you want fast. A PCM CIA card slot allows you to store your own programs on memory cards. 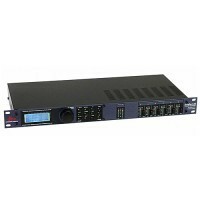 The two-channel dynamic processor dbx 166 XL is the updated variant popular 166 A. The processor contains an ekspander/gate, the compressor and a limiter. It has the detour switch, the switch for work in a stereo a mode, symmetric inputs and exits on джеках and on sockets XLR, ruptures of an operating chain on a stereo джеках. Switch Contour excludes hit of low frequencies on the detector scheme. A frequency range from 5 Hz to 40 kHz (-0,5 db). Two-channel 1/3-octava an equalizer of the series 20 in many respects identical on parametres of a legendary series in the past 30. 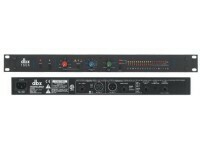 The family of equalizers dbx series 20 differs presence regulated патентованных limiters PeakPlus ™ in each channel. Besides, there is a highly effective system Suppression noise Type III ™ on the basis of the dynamic filter, essentially reducing noise even at extreme positions of cursors. The DriveRack PA, far and away the world's most popular loud speaker management system has now become the DriveRack PA+; the best has indeed gotten better. Showcasing all the features that users around the world have come to expect, including easy setup, rock-solid reliability and unparalleled sound quality, the new version has gone to great lengths to earn its "plus." With more settings, more control and enhanced circuitry, the sound you seek is right at your fingertips. The DriveRack 260 continues the legacy of DriveRack series, which has been created by the company that has been redefining the standard of signal processing for more than 30 years. The DriveRack 260 was designed with the purpose and vision of providing state-of-the-art signal processing, while utilizing a simple and intuitive user interface.